On 1 July 2015, the first workshop of the PIRLS for Teachers project took place. 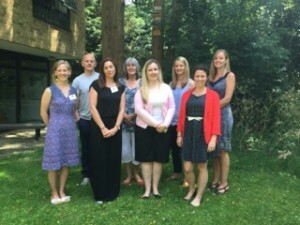 Eight teachers from different schools in the south of England visited the Department of Education to work with the OUCEA team on how we can make PIRLS and its findings more accessible and useful for practitioners. We first familiarised ourselves with PIRLS, the design of the study, the construction of reading literacy and all the available data about the characteristics of students, their teachers and head teachers and the contexts of the classrooms and schools. We also looked at some of the key findings from the latest PIRLS cycle in 2011. This was followed by two group sessions: in the first, teachers worked through the reading texts and accompanying tasks. The aim of this group work was to identify what can be learned from the reading tasks that is interesting for teachers and could potentially help in the teaching of reading. One important aspect was, for example, that texts in the form of more traditional storytelling might disadvantage students from lower socioeconomic backgrounds further, because they might be less familiar with the style of writing. In the second group session, teachers worked through the student, teacher and school background questionnaires and discussed what can be learned about the learning environment that is interesting and useful for them. One aspect, for example, was how a teacher’s motivation and interest in teaching may relate to the students’ own interests and motivation. In the following months the team at OUCEA will dig deeper into the issues raised and the analysis will form the basis of the next workshop in November. 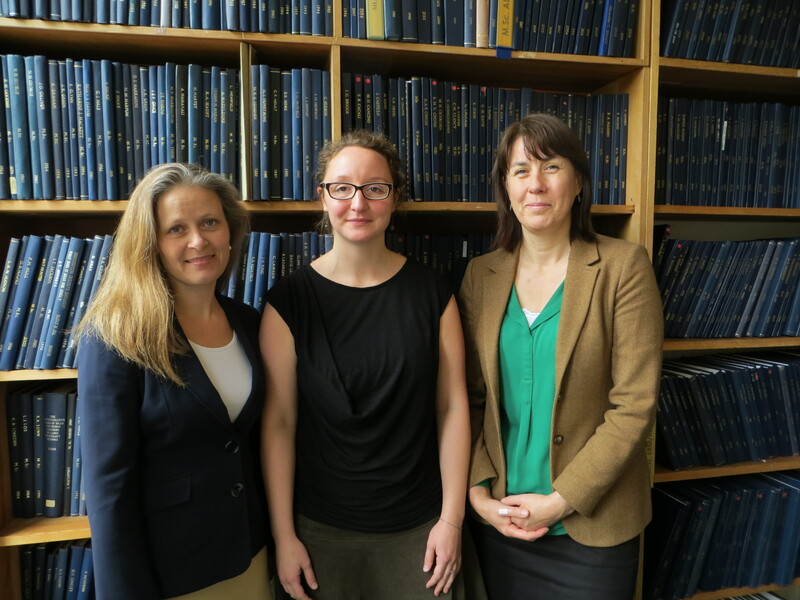 Dr Jenny Lenkeit presented the PIRLS for Teachers project to Norwegian county education leaders, and exchanged ideas and experiences from Germany, Norway and England about the use of data from large-scale assessment studies such as PIRLS. 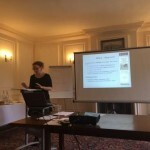 The presentation was part of a symposium held at Queens College, Oxford on 11 September 2015. On 19 November 2015, the second workshop of the PIRLS for Teachers project took place. In the preceding months the OUCEA team investigated topics and questions that teachers were interested in from PIRLS. These related for example to ‘How does reading to students affect their motivation, confidence and interest in reading?’ and ‘How does reading engagement in a specific PIRLS passage differ between boys and girls, between those students who always or sometimes speak English at home and those with more or fewer educational resources at home?’. To address these questions we analysed the PIRLS 2011 achievement, student and classroom data. In the workshop we first discussed the findings from our analysis with teachers and critically reflected on their accordance with teachers’ experiences from their own classrooms. We secondly discussed and identified possible implications of these findings for the teaching of reading in different settings, e.g. schools with relatively affluent students versus those with rather disadvantaged students. Lastly we exchanged ideas on the best format to present findings and their implications as practitioner materials. We agreed that visualisation of practitioner materials is best done in the form of posters. In the following months the team at OUCEA will develop initial versions of practitioner materials (e.g. posters, podcasts) and pilot these with our group of teachers. Based on teachers’ feedback to these initial versions, the revised materials will be uploaded onto our website throughout summer 2016.